I have uploaded a new version of RaspAnd Lollipop, which can run also on the new Raspberry Pi 3 computer. It is basically the same system as before. Only the boot parameters are changed. You’ll find my sources for RaspAnd here. Almost like any other Raspberry Pi system. The installation has to take place in Linux though. (From hard drive or while running a live Linux system from cd or a USB stick). Follow this instruction. The whole thing has to be done exactly like this. Not many apps can be installed via Google Play Store. Luckily Aptoide App Manager can be used to install some Google apps, for instance Gmail.When you start upp Aptoide for the first time you will be asked to upgrade Aptoide. Do that. Then try to install Gmail via Aptoide. 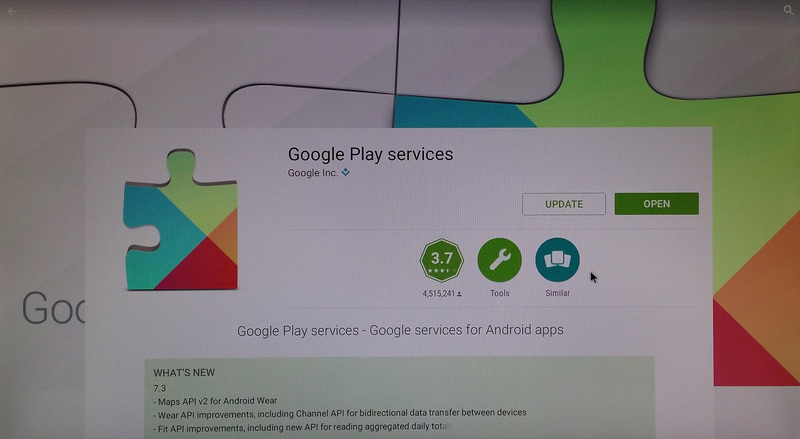 You will be asked to upgrade Google Play Services to version 8.7.03 (2645110-836) – latest version. Do that. When done you can install Gmail and other Google apps without problems. You’ll have to be aware of the fact that while running RaspAnd on Raspberry Pi 3 or Pi 2 not many apps can be found on Google Play Store. Because Google Play Services is installed many useful apps (for example Gmail) can be installed with Aptoide App Manager though. Wifi and Bluetooth can’t be used. You’ll have to have and use a wired connection. So, please be aware of the fact that RaspAnd Build 3 from 150924 will work only on Raspberry Pi 2. The new RaspAnd Lollipop version from 160315 (of Build 3 with different boot parameters) will work also on Raspberry Pi 3. This entry was posted in Android, Exton Linux, Linux, RaspAnd and tagged AIDA64, Android 5.1 Lollipop, Aptoide App Manager, Build 150924, Build 3, exton, Google Play Store, kernel 4.0.5-exton, RaspAnd, Raspberry, Raspberry Pi 2. Bookmark the permalink. Is it possible? Can RaspAnd support lcd display with spi interface? I can’t say for sure, but I see no reason why it shouldn’t work. I followed the instructions, but nothing is booting up on the RPi. You must have done something wrong since all Raspberry Pi 2 are the same. If you are sure you have done it correctly you should try with another monitor. I did notice that it looked like permissions changed for the /boot/* files because /dev/sdd1 is fat32. I was able to get it working. The problem was from me mounting it to a directory owned by root. That seemed to change the permissions up on the files, which resulted in it not booting up correctly. to which rightes did you gave the directory? Or how can you mount it that its not owned by root? Me too. I get a blank screen when I boot. I have 2 RPi B+, an Rpi2 and a Zero and all kinds of toys for them, so it’s not me. Exton, good afternoon. After the purchase and installed on my Raspberry, if you release a new version. How will the upgrade? Updates will be included in the amount that was paid? How do we know you hear a new update? We will be notified by e-mail? Is there a default monitor size that this needs to be ran on? I have my RPi hooked up to my TV and I can’t get off the Search screen. How do I go “back” or “home”? Every time I click on something, like “settings”, I get stuck and can’t get out of it. I did try the “Esc” key and still wasn’t working. Of course it does. Try again. Press a few times. Does this not display the soft home back and recent apps buttons on screen? If not, how can I create some hardware buttons connected to the Pi that do those things? I bought RaspAnd, but I can not install it in my SD because when I do the third step the PC say me Denied access in this partition. HELP PLEASE!! THANKS. You’ll have to be root in order to follow all steps. – I have no sound on my tv. What can I do ? – When I read films the video lagg. What can I do ? How to use adb on RaspAnd ? As in any other Android system. i didn’t get it booting up – screen keeps gray/black. isaac wrote something about file permissions in boot – how could this be fixed. Could you be so kind to put the fat32 partition also in an image file? You have to get help from someone who knows a little about Linux. I.e. I can’t write a better instruction than the one present. I can’t “put the fat32 partition” in an image file. Thanks, solved the problem – order of partitions caused the failure. I had to create them new in the correct order. Now Android is booting up. hi, it works with standard wifi dongle for raspberry pi 2? And is it compatible with digi HIFI Dac as audio output?? No, I don’t think so. You’ll have to use a wired connection. My dongle (Edimax EW-7811Un) doesn’t work and I’ve haven’t heard anything about others. HIFI Dac: I can’t say for sure. Are there drivers or something that can use to run WiFi dongle? WiFi is quite important in my project. As I said before: You’ll have to use a wired connection. My dongle (Edimax EW-7811Un) doesn’t work and I haven’t heard anything about others. Can I run it in Pi 1 instead of 2? No, I don’t think so. Insufficient RAM. If I tried for test could do any harm to Pi ? How can you use it with a Touchscreen device? It only displays image via HDMI, when a screen is connected via DISPLAY flat, no image appears. I’m sorry but I have no answers. I can’t try it myself since I don’t have your touchscreen. And I don’t know anything about DSI cables. Somebody else? Hi, did you have any progress on this 7 inch touchscreen ? Hello, how i do to have a dual boot on my raspberry pi 2 with raspand and raspEx (or another ubuntu release)? Can’t be done (or I don’t know how to set it up). I know already. It doesn’t work. Too many dependencies. I have seen this question asked but not answered. I was able to install and boot it up, but there is no sound. Is there a config parameter somewhere that controls the sound? or is this still a bug that you are working on? Also I find the screen resolution works best with the existing setting (1280×720.) on the config.txt under /boot. Someone mentioned the full HD setting (1920×1080) is too slow, and I find that to be true as well. If the 720 setting leaves certain areas on the edge of the TV hidden from view, the TV settings can usually be adjusted to fix that. For example, on my Sony TV, there is a setting that deals with the display area, and one can adjust that to make it display the whole screen, and it’s pretty good after that. Sound: It depends entirely on which monitor with built in speakers you use. Does the sound only work through HDMI? I don’t know. I haven’t tried anything else myself. I.e. I’m using the monitor’s built in speakers. I can continue to tinker, but I can think of nothing else why there is no sound. You can’t compare Raspbian/RaspEX with RaspAnd. Totally different systems and kernels. exton – I am aware that these are very different systems and I am not comparing them, other than pointing out that one (OSMC) is sending the video/audio signals thru the HDMI connection and I am seeing the video and hearing the audio, while the other (RaspAnd) is sending video/audio thru the same HDMI connection, and I am seeing the video but not hearing the audio. Ok, but the only reason I can think of is that the kernel in RaspAnd lacks support for your special monitor (audio). You can try with another monitor. Is support built in for all the interfaces – GPI/O, serial, etc? Hi, I think that it hasn’t supported a wifi adapter in Build 3, right? If I want ot connect to the Internet, I have to use a wired connection? Adapter? As I said before: You’ll have to use a wired connection. My dongle (Edimax EW-7811Un) doesn’t work and I haven’t heard anything about other dongles. I’m sorry but there is no “built in” support for your LCD 7”. I don’t know if it is possible to make it work. What do you mean for “built in support”? …. how may I configure the dongle for wifi TP-Link TL-WN725N? As I said before: You’ll have to use a wired connection. My dongle (Edimax EW-7811Un) doesn’t work and I haven’t heard anything about other dongles. Do you think you’ll update this to marshmallow? Also, do you think it would be possible to add leanback launched and keyboard? 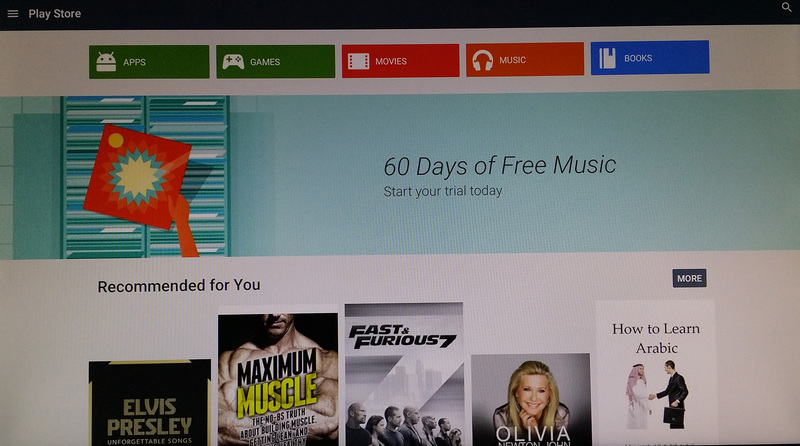 (Android TV apps). Might wouldn’t hurt to have a TV build as well! Is there anyone has try bluetooth dongle on raspand? Hi. This installed fine but a couple of questions. 1. how do I pull down the shade? I can’t get that to work with mouse. 2. Where is the “Users” option in settings? I needed to get Android on to a Raspberry Pi to debug and test thing with restricted accounts and multiple users on Android. The download will be useless to me if it doesn’t have the Users option. We must be happy that Android can run at all on Raspberry Pi. Not all functions (which you have on a phone) are included. The shade, the notification area. Ok. There is no notification area (which means that you have to use the power switch to turn the system off). On the center of the screen. Nothing else. Yes, you haven’t done it correctly. Try again. Or try with another monitor. I get the exact same problem, and I tried installing multiple times on multiple different RPI2 devices with different screens. Nothing seems to get this past the static android logo. I let the device try to load for about an hour, thinking maybe its just really slow and that didn’t work either. Has anyone figured out this issue yet? It’s not a matter of order or a matter of folder/path permissions, because I tried many different combinations of setting this up and still had the exact same results with each of them. I feel it has something to do with the boot definition files and not referencing the images path correct. Figure out? Nothing to figure out. Just follow my install instructions EXACTLY. 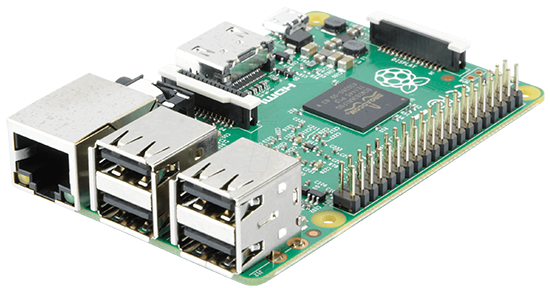 Since all Raspberry Pi 2 computers are the same it must work also for you. I managed to figure out what the issue was. I followed the instructions (ran through them several times). However, I found that when writing the system.img file to the path, the command (dd if=system.img of=/dev/sdd2 bs=1M) was not filling up the entire 1GB path. It would write the image to the path and mark the /dev/sdd2 path to be the size of the image (i believe about 600MB) and not the full 1GB. I noticed this using Gparted, where it told me there was a problem and did a drive check to correct it. Once the drive check completed (and fixed) in Gparted, the image booted correct. Thanks for your report. I don’t like mysteries. Glad that everything is alright now. I recently paid by paypal for RaspAnd but after transaction I cannot download why? I have sent a new download link to your msn-address. First of all thanks for the build. What is required in latest build in order to accelerate Android? Is it some HW drivers or anything else? Can I help with it? wheel videos html ? you tube ? Thank you for your work. I m a newbie and one question can I make any google play app work here like shazam? Follow the instructions in the order given UNTIL you mount the sdX1 partition. Find and use a monitor with an HDMI port (you CANNOT use a DVI to HDMI adapter/cable for this). insert the SD card, connect the Pi 2 to an HDMI monitor, plug in your keyboard/mouse, connect the wired connection (mine worked without doing this) and power it up. You should see the word “Android” on your screen in about 10-25 seconds. Wait a few minutes, and the default screen should pop up. I couldn’t give advice in this matter since I didn’t have the same problems. No problem. I was glad I could help. I’m just glad you had the smarts to write the code in the first place. Hi John, Thanks for your solution. I have follow this to make it work on my RPi2. Perhaps I want to inform you. I can use my monitor with only VGA port on it with HDMI adapter. I’m unable to install Raspand. There is just this coloured starting screen and after another white screen, which is moving, it doesn’t do anything else. I tried Extons instructions and yours too, but it won’t work. By the way I’m using a RPi3 with the 7” touch screen. Any suggestion how to enable, or somehow incorporate mic so that voice search would work? 2.) 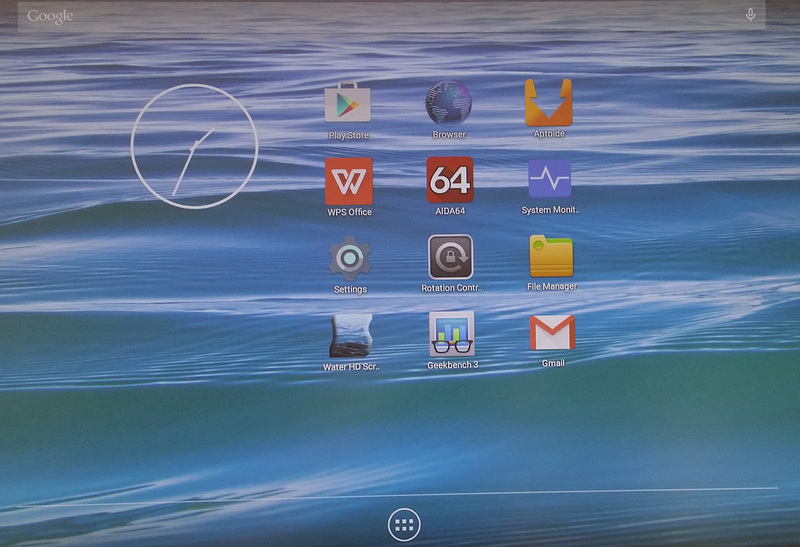 Tried su on RaspAnd 3 but it seems as not rooted, su binary missing, is it because of GAPPS? Any way to provide two versions of RaspAnd, one nonrooted and 1 prerooted? what’s about the settings for wired network? There is only VNP present nothing is detected. How can you set the network ? You shall automatically be connected to your wired network. I have installed raspAnd on my raspberry pi 2. Any guy have tryed to fix IP adress on android? can you help me to solve this? In the best issue, i prefer to show ethernet button on settins menu. Tankyou verry much for your work this is very fine. Who can post here a working touchscreen 7″ howto? Oh for goodness sake that’s why I want android, I almost bought this and luckily ran into this question. What will it take to get Netflix to work, and does acceleration work? Can you confirm if the app Yelo Play can be installed? hi, did you test it? can you use yelo play? Is it possible to have the bluetooth working ? With Pi3 built in or dongle ? No, sorry, it won’t work. And with Pi2 + BT dongle is it possible ? is-it possible to install and run skype ? With video ? with my webcam ? No, it won’t work. Sorry. I have a multitouch screen 40″, and I want integrate Android on Rasperry Pi 3, are there any problem of compatibilities with the touch? I’m not sure. I don’t think it will work, since Raspberry Pi’s own 7″ touchscreen can’t be used. can i reply of my question? can use it the stock touch panel? 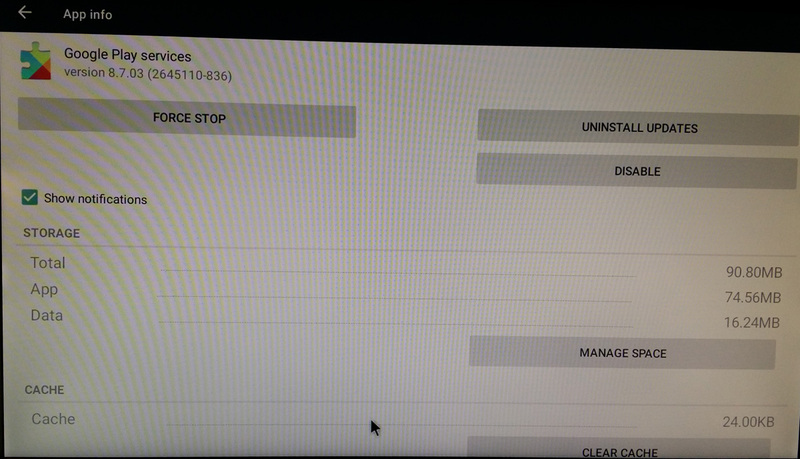 and this rom is applied GPU driver? Impossible. Just follow my install instructions. I need sound for the jack 3.5 what can i do? You need a monitor with built in sound. I noticed your most recent build RaspEX 160331 includes support for Bluetooth and BLE. Is there anything with that build that could give us hope for Bluetooth support in RaspAND? Do you think it’s possible in the future to have Bluetooth/BLE support in RaspAND? Yes, I think so, but not in the immediate future. I’d love to see if I can help make it happen – is there something I can do to help contribute? Does it run with touchscreen (hdmi) ? My device is raspberry pi 3,while power on the boot with raspand,it takes more than 90 seconds,is it normal? in addition,does WIFI network work? Yes, the startup time is normal. Maybe a little faster the second time. Wifi: You’ll have to use a wired connection (as I say on the INFO page). i’ve purchased and successfully run RaspAnd 160315 on my Raspberry Pi3. I’ve a problem with Wi-Fi (and BT), because it seems not recognized by Android, and the only way to establish an internet connection is with LAN interface: how can i solve the problem? There will be future update to RaspAnd? Is there wifi support on the pi 3? if not will there be in the future update or is there a way i can add that in? No, but I hope to be able to add Wifi support soon. Hi, i would like to connect a USB NFC reader on rasp pi 3, is there any possibility? I have a Pi 3 and have installed RaspAnd 160315. When I start it, I get the android screen, then Optimizing 89 apps, then Android is starting… starting apps. Then it just reboots and does it all again! Any suggestions, please? You must have done something wrong during the installation. Try again! I am still having problems. In step 4 I get ‘can’t find /dev/sdd1/mnt/sdd1 in /etc/fstab or /etc/mtab’ when I try to mount. 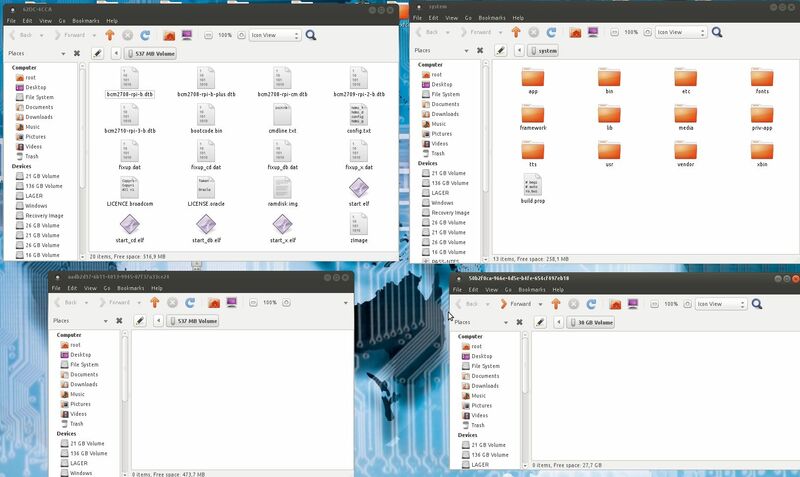 So I have tried copying all boot files using Windows, and also one by one in Linux using dd, but still without success. I can’t find how to flag partition 1 as boot, but assume if it is primary and active that will be ok. Any help much appreciated! You must do everything as root in a Linux system. Use GParted when creating partitions and the boot flag. Thanks. I will try again, but I wonder if not having an internet connection might be a problem? I have WiFi but at present no LAN (Ethernet) available. Maybe the Pi 3 is looking for it and failing? I have used a Pi 3 running Debian to create the SD card for for Android on Pi 3. I purchased a microSD to UBS adaptor to plug the new microSD into the Pi 3. I loaded GPart from the Debian add software list and partitioned the MicroSD as recommended. Transferring the new microSD to the PI 3, and powering up..and away we go. Booting up takes a few minutes, but once running speeds are reasonably acceptable. I can’t get the wifi or bluetooth working yet but the rest of it runs pretty well. I have tried a couple of my own Android Apps, and they work well. My home brewed file manager does not work yet but the reasons are obvious, so a little re-writing should fix.. I can add raspand to noobs or berryboot? if the answer is yes, as is done? You must run the command as root and you must (of course) stand in the folder where you have system.img. I am very pleased with your Android implementation for Raspberry Pi 3. For someone like me who progams a bit in Android, but not Linux, your solution is a breath of fresh air..
My apps that don’t use phone or tablet hardware eg GPS or tilt detection work well. By the way I create my Android apps with B4A.. works a treat. My guitar making apps all work after a little modification to accomodate the Pi’s screen configuration. I hope to implement a stand-alone acoustic measurement device. Many of our calculations involve doing something with a detected musical note (frequency) so I am hoping I can get my FFT tuner app to work. It sort of works in a tablet but more work needed. Thank goodness for the little app to fix screen rotations.. It works most times if started as a service. Some of the apps I have installed force portrait orientation which is useless for a desk-top monitor.. they are saved by the rotation fixer app. 1: built in Gallery image app does not work. ES File image viewer is OK.
3: usb device detection tends to lock up. I tried a USB webcam (with a display app, “cameraFi”) with no result.. usb detection then failed for memory sticks. The app works with my webcam on Samsung Tablets. 4: Google log-in app stops..
5: Google Play auto-updates to a version that does not work, regardless of google play service version. The default version works once then it updates itself and crashes. Is there some way to prevent this auto-update.. Thanks again for your great software.. Success! Many thanks, Exton and PeterV. Lollipop 5.1 is running fine now. I did as PeterV suggested and used GParted on my Pi 3, having failed to get it going using Ubuntu running as a virtual machine on my Windows 10 laptop. I also have a LAN connection, so can finally get to the Android apps I wanted. Unfortunately, they don’t seem to like Lollipop 5.1, or maybe just the 160314 version. I do not know the precise problem, but they were written for a touch screen. There is no sound at all when running raspand. My raspberry is performing ok when it runs raspbian. So i think is a raspand related problem, not a tv set or raspberry problem. You should try with another monitor (with sound). Any ideas other than try another monitor with sound? No. I’m sorry. It should work using all not too unusual TV sets and monitors. RaspAnd has nothing to do with Raspbian. (Different systems and kernels). I am using live linux system on a cd. How do I use GParted on a live linux system on cd? or should I switch to a usb stick? You can use GParted while running a live CD. Just install it (if it isn’t installed). SO I have one of your Linux live with the Gparted installed. When I get to the Terminal how do you move to the folder that has the Rasband? Then su or sudo su (to become root) before you run the install command. 1) Does Tasker work (100%) on RaspAND? 2) Does Google now (voice commands) work on RaspAND? is this build support the dsi driver port? for the lcd touchscreen original by raspi? i will be really excited if this is supported. I ask this about each RaspAnd release… How have you tackled the lack of drivers from Broadcom for the Pi’s video chip? Do you have GPU acceleration disabled? As far as I know nobody has managed to get around this problem which is why Android is supposed to run so badly on Pi…. Wanted to know when can we expect Wifi and Bluetooth to work on Raspberry 3 model B. Need it for a project urgently. Wifi and Bluetooth work right now in Marshmallow 6.0.1 on Rpi3, but the system is terribly slow. I hope this problem will be fixed very soon. could you help with link of marshmellow 6.0.1 with working playstore? No, I can’t. I’m working on a Marshmallow version, but right now the system is so terribly slow that I don’t want to distribute it. Hi good afternoon , I would be interested in acquiring this OS , but would need to know what options GPS has, for example , with data connection could simulate a complete GPs ( internet + gps data location) ? I ‘m working on an app that works with GPS and detects the GPS spoofing , so the need only with connection for data would simulate a complete GPS . Raspberry Pi does not have GPS built in. Please score on Antutu Benchmark ? 1. i want to use 3.5inch tft LCD. Do you know how to set it? 2. I need to use Uart Serial port. Can i use it? Is it supposed to be that slow? It’s not a fast system, but not so slow either if you run it on a Rpi3. Unfortunately not. I will not make any new RaspAnd versions with Android 5.1. Maybe someone else will. I don’t know.